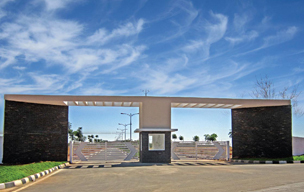 JR Housing offers unique commercial plots in South Bangalore facing to 150ft wide main roads connecting Chandapura-Anekal road, Bannerghatta-Jigani Road and Bangalore-Hosur Expressway. The 150ft wide roads were conceptualized as part of the Comprehensive Development Plan of Anekal Planning Authority, to improve the connectivity between major district roads in South Bangalore Suburbs. The 150ft wide roads further connect to the Satellite Town Ring Road of Anekal Town. 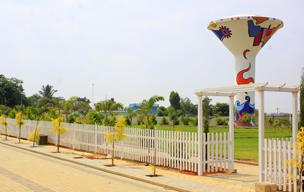 JR Urbania, unique integrated layout developed by JR Housing offers Residential Plots and Commercial Plots in Electronic City. The commercial plots face to the above said 150ft wide connecting roads. Shown below is the 150ft wide road developed by JR Housing which spans over 2 km length within JR Urbania. 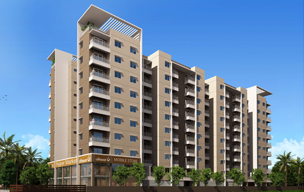 JR Urbania is centrally located within Karnataka Housing Board’s Surya Nagar Phase-2, which is spread over 1600 acres of land in South Bangalore, near Electronics City, off Bangalore-Hosur Expressway, making it the largest residential settlement developed by KHB in Anekal Taluk, Bangalore South. The whole area resembles Koramangala in early 1990s, which has now developed into a vast commercial and residential hub. The commercial plots facing to 150ft wide roads at Karnataka Housing Board are already being auctioned at over Rs.3500/Sft. Commercial plots at JR Urbania are available in 40’ x 60’, 40’ x 70’ and 50’ x 80’ dimensions, ideal for investment, which are priced at Rs.2500/Sft. Starts from Rs 18.60 Lacs. Plots- Rs. 24. 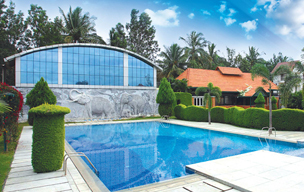 Lacs Villas- Rs 49 Lacs. Starts from Rs 30.9 Lacs.